I was cleaning up my hard disk deleting tons of documents, useless images, a bunch of junk. I saw one picture I got from the Philippine Web Awards. 2003, I was a spectator only. I had no website that I think qualified to even join. Same in 2004. I was not a chosen judge… I feel my skills have depleted, but was planning for a comeback. 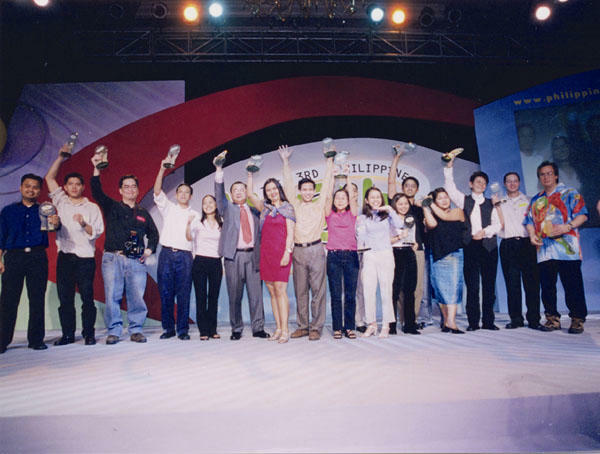 2005, the contacted me again to be a pre-finals judge. As for joining, my company has 3 entries, but the one that I have worked on is only one of them. The other two are by Eric Mangoba. I hope they at least get to reach the final 5. I may need help from my friends to vote for the people’s choice award if ever they get into the finals.